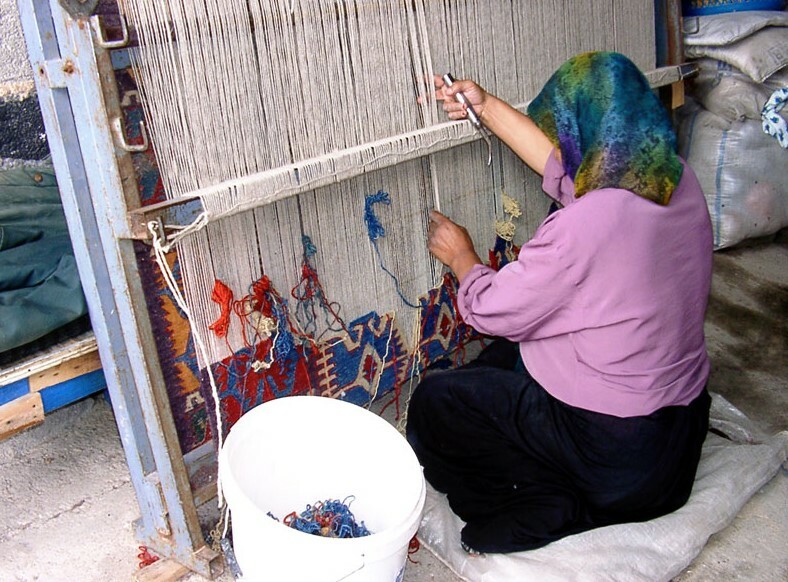 Like other areas of the world where handmade rugs are produced, Turkish rugs have enjoyed a long history spanning over many generations, and also played a critical role in the Turkish culture over this same period of time. Similar to Oriental rugs and Persian rugs in their construction, Turkish carpets date as far back as the pre-Islamic era. Additionally, they also share a comparable integration of outside cultural traditions in their manufacture, which include Byzantine influences, as well as Asian, Armenian and Caucasian design inspirations as well. While the beauty of these rugs is evident, the reason rugs were originally woven in early Turkish history was out of necessity. As largely nomadic peoples who served as the original artists of Turkish rugs, these carpets served both as protection against the elements, and as a separation between the earth and a tent’s inhabitants. 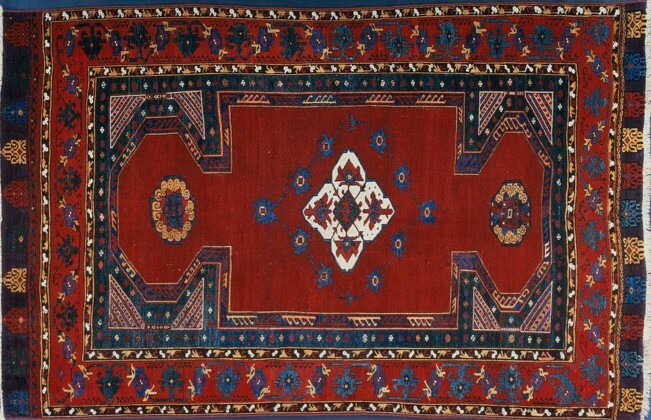 Also out of necessity, Turkish rugs were made from materials that were readily available in the areas where these nomads migrated, with many looking to their own flocks of sheep and goats to provide the wool for yarn, in addition to plants and minerals that were used to dye the yarn. Migration played a tremendous role in the designs of Turkish rugs, as large groups of nomadic travelers moved into the area and carried with them the traditions of their native lands. Before Islam began its influence on the art of handmade rugs in the region, the more common features being displayed in the soft fibers of Turkish rugs were large and extravagant medallions, beautifully rendered arabesques and stunning botanical motifs. After the Islamic era began, however, Turkish weavers quickly integrated motifs that included prayer designs such as ornate pillars, gloriously produced mihrabs and other Islamic-centered subjects. And these symbols have continued to this day in most Turkish rugs being produced, often lying beside other symbols from earlier and later periods in the area’s culture. From their beginnings, Turkish rugs have been revered as works of art by those living within the country of Turkey, as well as by collectors and art enthusiasts throughout Asia, Europe and the West. This is further substantiated in homages to the carpet during the Renaissance era, when it wasn’t uncommon for a Turkish rug to be featured in paintings or found in the homes of noblemen or bathing the interior of a monarch’s castle. And though the practice of manufacturing Turkish rugs by hand died out somewhat during the early 20th century, less than a century later many projects were designed that revived the traditional art, producing rugs which have fascinated rug lovers around the world. Contact Ahdoot Oriental Rugs to view some of these stunning Turkish rugs in person, or browse our Rug Shop to see what else we have available. Ahdoot offers every service imaginable to rug owners and rug lovers, including cleaning, repair and appraisal on any carpet you purchase or already own.